The last place any of us would want to spend the festive season is in hospital. But, as Dr Rachel Clarke movingly describes, the humanity shown by patients and NHS staff alike is truly humbling. Her eyes don’t leave mine as I walk towards her bedside. I have a horrible feeling she already knows. Tree lights twinkle in the corner, muffled laughter from the staff room escapes on to the ward. ‘Margaret,’ I smile, with as much warmth as I can muster. Today, of all days, I want to do this well but, as an inexperienced doctor, I haven’t done it many times before. No moment is good for breaking the news to a patient that their scan shows incurable cancer, but Christmas Eve, of all days, is stunningly bad. 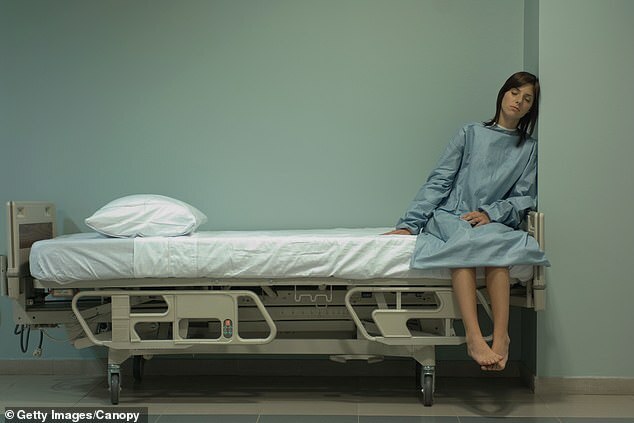 Even while draped in a hospital gown, hooked up to a drip to stop the vomiting and pain, Margaret, a recently retired intensive care nurse, retains all the poise and self-possession her former role demanded. My team and I have just looked at her images. Our Christmas cheer vanished in an instant. Cancer isn’t just present, it’s everywhere. Liver, pancreas, bowel, pelvis – too many tumours to count. Sitting now beside Margaret, who has insisted on no sugar-coating, I gently explain the extent, the spread. This dignified woman – who herself has spent so many Christmases tending to desperately unwell patients – manages a faint and rueful smile. Last year on Christmas Day, the NHS delivered nearly 400,000 Christmas lunches – and 1,800 Christmas babies; 100,000 nurses were at work in our hospitals, while in care homes across England some 200,000 care workers supported the vulnerable and elderly. There were 40,000 cleaners and more than 12,000 porters on duty, with 1.5 million pieces of linen used during the day. The sheer scale of the NHS’s Christmas statistics is staggering. So much activity, so many teams up and down the country doing their best for their patients, because disease does not respect Bank Holidays and illness or accidents can strike you down at any time. But what fills me with awe at Christmas is not the eye-watering numbers, but the fierce humanity shown by patients and staff alike. Everyone, deep down, would rather be somewhere else. My language is never bluer than when I curse the rota coordinator on finding out that, yet again, I’m on duty at Christmas, another year the kids won’t see their mother. I kiss them goodbye, still tucked up in reindeer pyjamas, and step out into the cold, feeling hard done by. But it only takes a few moments at work for me to wonder why the idea of working in a hospital at Christmas is so galling, when the reality is often so uplifting. Last time, I arrived wearing my hair in tinsel-wrapped Princess Leia braids. A porter in a Santa hat high-fived me. A couple of the nurses stuffed Quality Street into their mouths as they skipped past at the end of their night shift. The doctors’ mess was decorated with cardboard hospital bedpans: it’s a little-known fact that there is nothing better shaped for bedecking walls with seasonal reindeers. My consultant fully embraced the Star Wars theme, and took my son’s plastic light sabre on to the ward with him. One of the patients, a good 80 years old and not long this side of a major heart attack, insisted on us eating his chocolates – we were forbidden from leaving his room until we’d consumed at least two or three apiece. A family I’d never met before thrust a Christmas card into my hands, filled with thanks and gratitude for their loved one’s care. It wasn’t long before the dubious smell of brussels sprouts and NHS gravy began to permeate the ward. I’ve yet to see anyone crack the secret of making hospital meals appetising, even when adorned with Christmas crackers, but the patients didn’t care. They grinned in their paper hats as a church choir came to the ward and sang carols. While lunch was being served to the patients, my consultant summoned the doctors and nurses into the staff room. There was a feast of treats piled high upon the table and, at his insistence, thimblefuls of champagne for us all. My ward felt more profoundly infused with Christmas spirit than anywhere else I could have been that day. I hugged tight these members of my other family, the ones with whom the blood ties aren’t genetic but literal, as we go through the haemorrhages, crises and deaths together, sustaining a collective cheer. The NHS runs on camaraderie, and never more so than at Christmas. My father, himself a young doctor in the swinging 60s, remembers a medics’ revue traipsing from ward to ward on Christmas Day, rallying the spirits of patients, nurses and doctors alike. As a small child, I’d clutch his hand nervously while, every year on Christmas morning, he whisked me and my siblings off to meet his patients, disconcertingly wizened and gnarled to a wide-eyed six-year-old, on a ward that smelt of iodine and cabbage. I’d watch faces light up with delight as their doctor arrived at their bedside. Sometimes, he was their only visitor all day long. But it’s not all goodwill and affection. 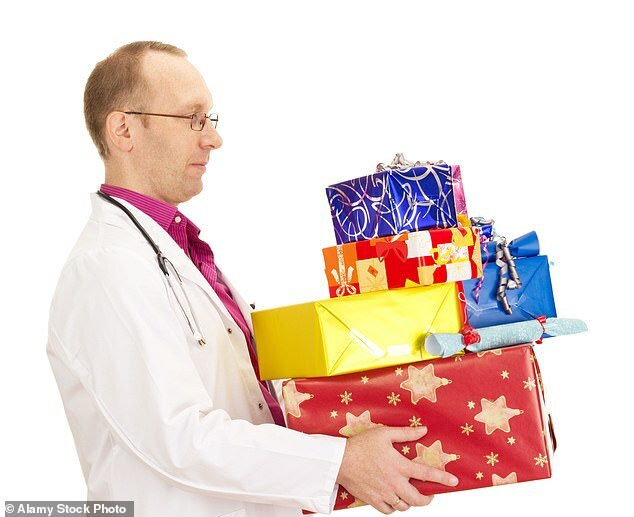 Christmas offers no protection again the perils of modern NHS winter crises. Last year, with conditions of gridlock so severe in our hospitals that the British Red Cross dubbed them a humanitarian crisis, patients queued for so long on trolleys in corridors that some of them ended up dying there. We make superhuman efforts to get vulnerable patients home to their families in time for Christmas, but the carers they need simply aren’t always there. 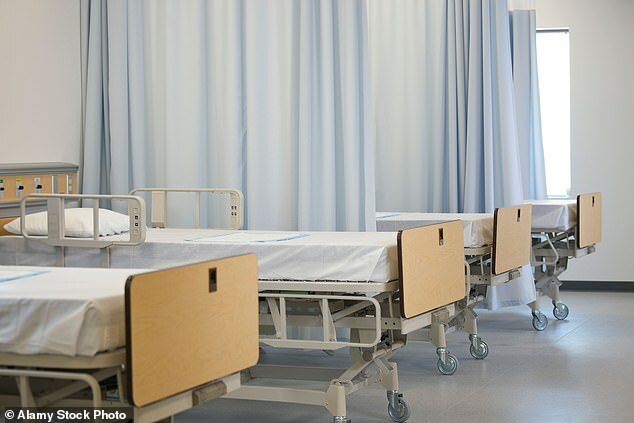 Every year, patients medically fit to go home are marooned in hospital for no other reason than that Britain has woefully underfunded social care services. Nor do dying and distress pause for Christmas festivities. Once, in A&E, having just dealt with the young man who had accidentally ‘sat’ upon a bauble, I encountered a middle-aged woman who – weeks after first noticing weakness in her arms and legs – finally panicked when she could no longer lift the gravy granules out of her kitchen cupboard, let alone the turkey into the oven. Her family joked that she was bonkers. ‘You just want to get out of watching the Queen, don’t you, Mum?’ In fact, examination of her limbs revealed dramatically distorted neurological signs that fitted, almost certainly, with a diagnosis of motor neurone disease. She was whisked from A&E to the neurology ward, and I later learned she had died before Easter. Perhaps most poignant of all are the patients we occasionally encounter who are dispatched by their families into NHS hands for the holiday. One Christmas Eve, paramedics rushed to the home of an elderly lady whose son had called 999 to report a fall down the stairs, a broken hip, a possible head injury. They were surprised when Ethel herself answered the door, frail and forgetful, but adamant she had not fallen, and eager to offer them a cup of tea. As the son was nowhere to be seen, they took the safe precaution of delivering Ethel to A&E. I checked Ethel meticulously. No tender bones, no new aches and pains, just an elderly woman with possible dementia who seemed tickled pink with all the attention and refused to relinquish my hand. Eventually, I managed to speak to her son on his mobile phone – at Heathrow airport. I hung up the phone, and wondered what I was going to say to Ethel. No one ever completely understands from the outside what a family faces within, and it is not a medic’s place to judge. All I knew was that Ethel was about to discover she’d be sharing Christmas with an NHS family, and I was the one who had to tell her. Her face lit up when I returned to her bedside, then quivered as she clutched my hand and began to cry. The real reward of working in a hospital at Christmas is the privilege of caring for others less fortunate, who would do anything to be elsewhere. If the staff are longing, on one level, to be with their loved ones, imagine how much the patients yearn to flee. But no matter how frail or unwell or alone, patients invariably face Christmas Day in hospital with an uncomplaining dignity that can take your breath away. When I returned to Margaret’s bedside, that Christmas Eve some eight years ago, my shift was meant to have ended. I’d worked flat-out all day, racing through my jobs, hoping in vain to make a rare exit on time so that I might share in my children’s all-important bedtime, the hanging of stockings on bedposts, the careful arranging of carrots and mince pies on the hearth. Part of me ached to rush away. But when I saw from a distance the husband and wife holding hands, their shoulders slumped and faces drawn, there was nowhere I’d have rather been. Here was a woman receiving some of the worst news a person can hear, yet her concern was for everyone around her, even her doctor. At the time, I couldn’t imagine a more potent example of humanity at its dignified best than her quiet strength and selflessness. 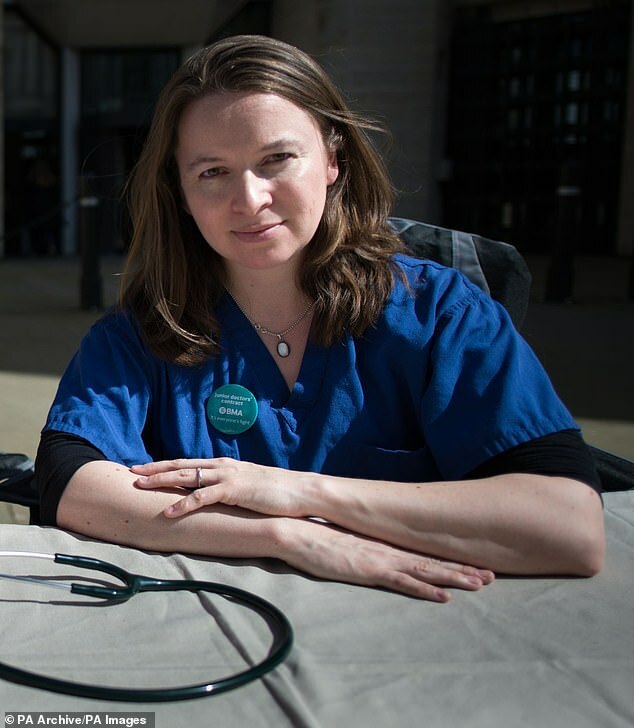 The truth is, in my years as an NHS doctor, I’ve seen it over and over again – and it never fails to floor me. to A&E after a boy aged five or six had fallen through the ice of a frozen pond. Bystanders had managed to retrieve Tommy, but not before his heart and breathing had stopped. Paramedics had given chest compressions all the way to the hospital, but his hypothermia was so severe that, on arrival, he remained as white as ice, eyes closed, lips blue. ‘We didn’t stop,’ Gemma said. ‘You never know with children. They can survive cardiac downtime that would destroy an adult brain.’ Slowly, gently, the trauma team began to warm him. At some point, against all odds, his heart resumed a rhythm, little more than a flicker at first, but gaining in strength with each second. ‘The parents were crying with joy, but I still felt sick inside,’ Gemma said. Nobody knew if Tommy himself, the child he had been, was intact or had been obliterated. It was entirely possible that he had sustained catastrophic brain damage. Gemma followed his progress daily in the paediatric intensive care unit (ICU). At first, strong anaesthetics kept him unconscious to give his traumatised brain a chance to heal. After several days, the team dared gingerly to lift the sedation. To everyone’s delight and astonishment, a lively, inquisitive boy emerged with no obvious signs of brain damage. If you are unlucky enough to face us at Christmas – and, at its worst, a hospital admission can feel frightening, humiliating, hopeless – you’ll meet doctors and nurses whose sense of team spirit rivals that of the military. We might look grotesque with our novelty Christmas jumpers stretched over tummies filled with too many Quality Street, but we’ll do our best to help you. We may be unable to fix you, but we will not leave you alone. In turn, we’ll be lucky enough to meet you. The newborn Christmas infant, howling her entrance to the world beneath hospital strip lights. The teenager with bone cancer who wants to be left alone, but can’t help grinning at the consultant’s discomfort in his under-sized Santa suit. The 96-year-old man delivered by ambulance to A&E who, it turns out, needs nothing so much as someone – anyone in the world – to talk to. The newly retired ICU nurse who presents a brave face to her family when her dreams of travelling the world have been dashed into a small, sharp, shrunken future of palliative chemotherapy before her symptoms overwhelm her. In all my 44 Christmases, I’ve never seen anything as remarkable as the indomitable spirit shown by the patients for whom it’s been my privilege to care. This year, I will arrive on my specialist palliative care ward on Boxing Day with a spring in my step and a smile on my face. There may be grief of an unimaginable order as families are wrenched from those they love. But amid the messy, calamitous times there will also be love and compassion and kindness. Patient, doctor, nurse, family member. Just human beings trying their best at Christmas, when the NHS does all of us proud.